Customers who are interested in our home / hobbyist 4 post lift options by BendPak, Dannmar and Workhorse frequently ask us, “How do the casters work”? You see, these lifts are designed to be free-standing. They don’t need to be bolted down to the floor. And a popular accessory is the caster kit, which allows you to make the lift portable. You can actually roll it around your garage, and even out of your garage, provided it will fit through your garage doors. Many customers not familiar with the caster kit option have a difficult time grasping exactly how the caster kit installs onto the lift, and how easily it can roll once it is installed. They often are confused about if it is meant to roll with a vehicle on the lift, or without. The beauty of it is, they can be moved / pushed either way, with, or without a vehicle on it. And much easier than you would think. But describing it to somebody, and actually seeing it with your own two eyes are two different things. Finally, thanks to modern technology, we no longer have to imagine how it is done. BendPak has put together a video showing the caster assembly being installed onto the car lift, and then the BendPak Lift being rolled around (with a car on it). Once you see how easy it is, it makes your decision equally as easy. You’re going to want this popular accessory. Check it out below. In our previous post, we spoke about our most popular accessories for our home / hobbyist 4 post lifts. This time, we’re talking about some of the more obscure accessories. 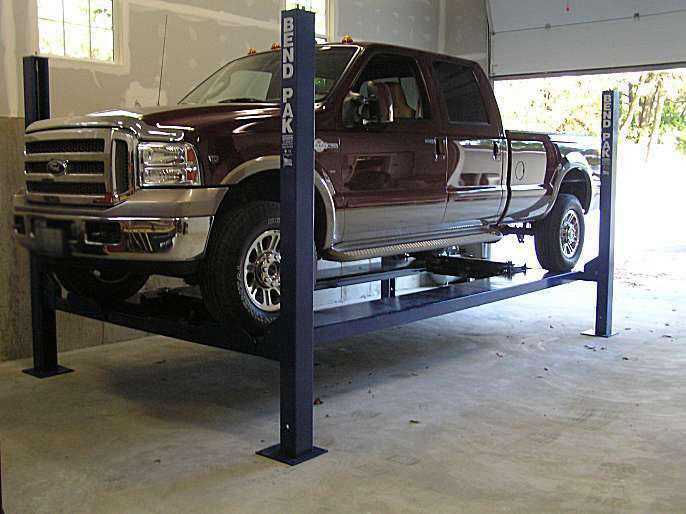 When using the lift for servicing your vehicles, there are several accessories that are available. If you have the Air Bridge Jack spoken about in our previous post, The AK14 Air Line Kit would be used to clean up your lift area and keep it free from air hoses that you would need to run to the Jack. It integrates the air hoses into the structure of the car lift. The Air Electric Work Station mounts to one of the columns and has an air lubricator, filter and regulator for your air tools so you have clean air running through your air tools. It also has a GFCI protected outlet so that you have power right there at your work station. Additional accessories for storing your vehicles include the Steel Deck option. If you want to store something other than cars on top, this is what you will need. It’s perfect if you want to store a Snowmobile, ATV, motorcycle, or lawnmower up top. If you want to remove your approach ramps when you raise the lift, the Aluminum approach ramps are nice because they weigh about half of the steel approach ramps. They’ll save you some back pain perhaps. BendPak has an approach ramp lock kit that will make your approach ramps stick straight out when you raise the car lift so that they won’t flop down. This means you won’t need to remove the approach ramps when you raise the lift. This is very convenient. There are many accessories to consider when purchasing a 4 Post Lift. Contact us today with any questions about any of them.